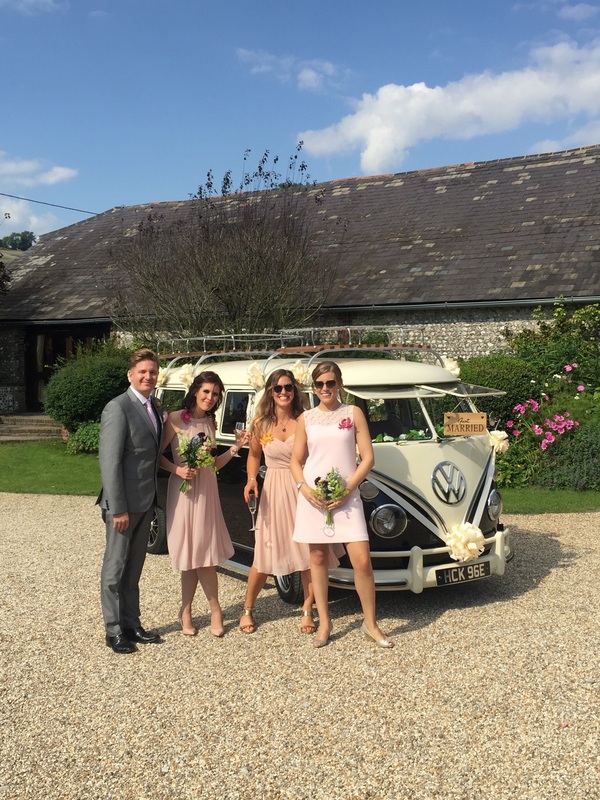 Despite the threat of storm Brian, Hector with the help of a friends 4×4 still managed to transport the bride, her dad, her mum and the 3 bridesmaids from Stubbington to The Great Barn, Titchfield for our final wedding of 2017! 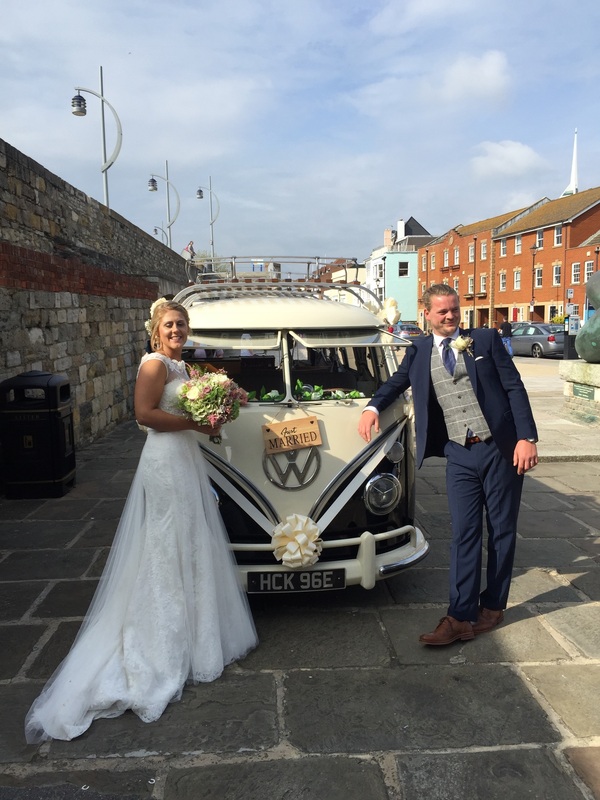 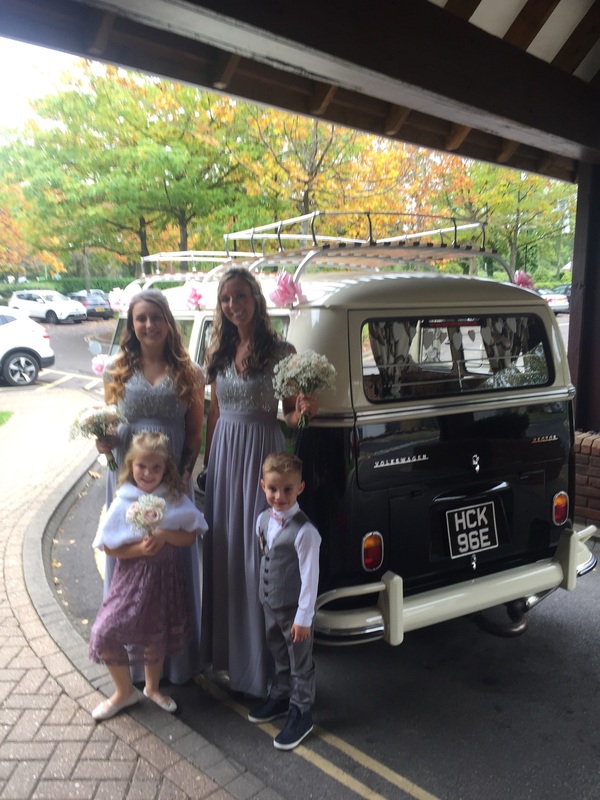 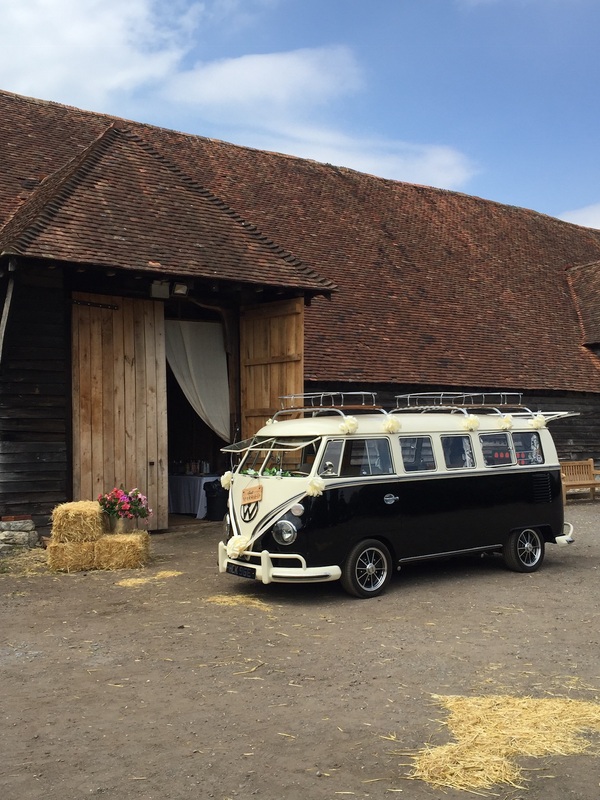 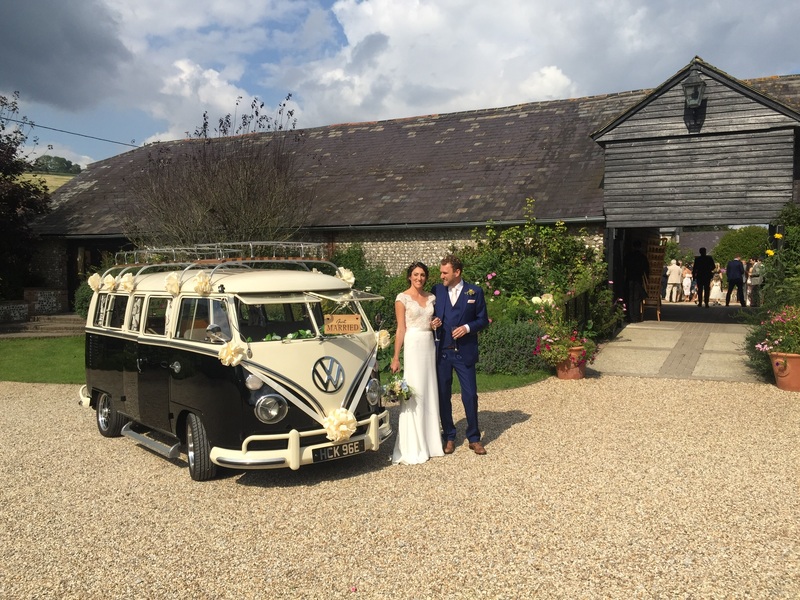 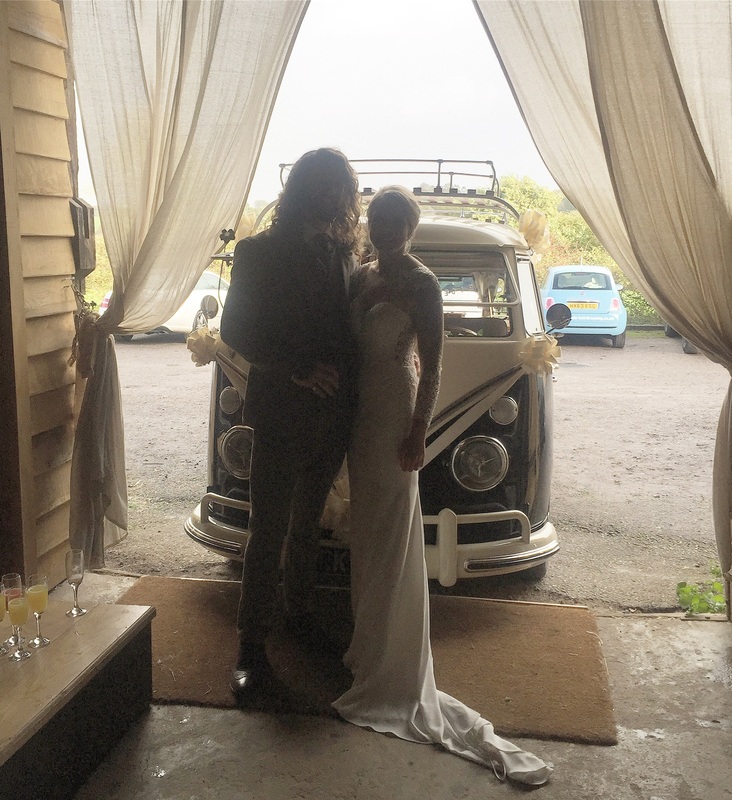 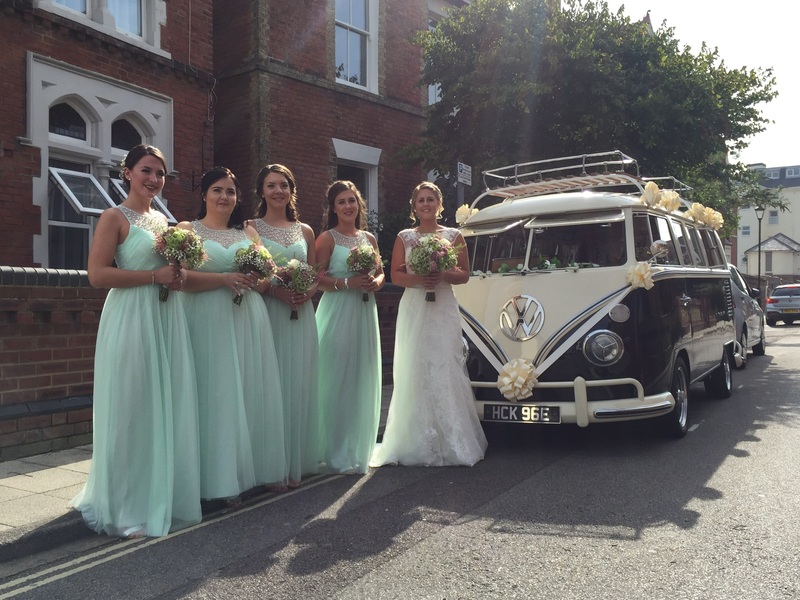 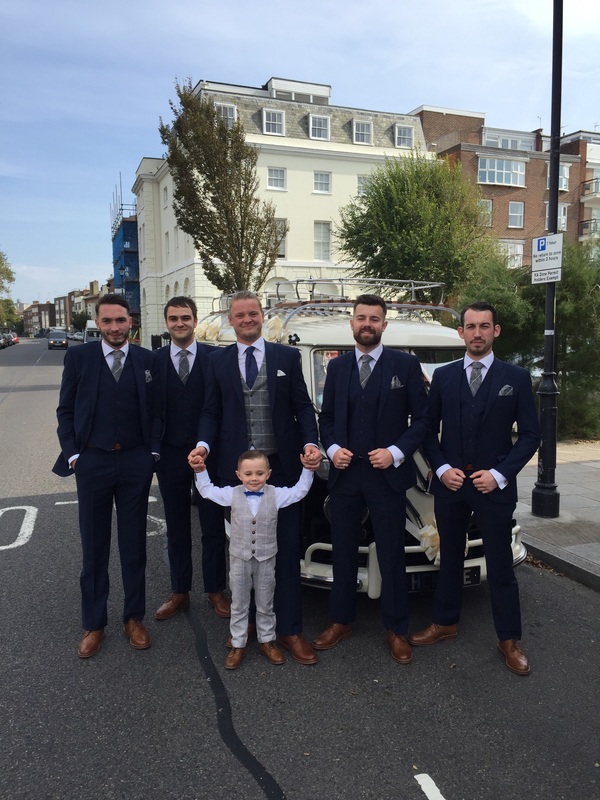 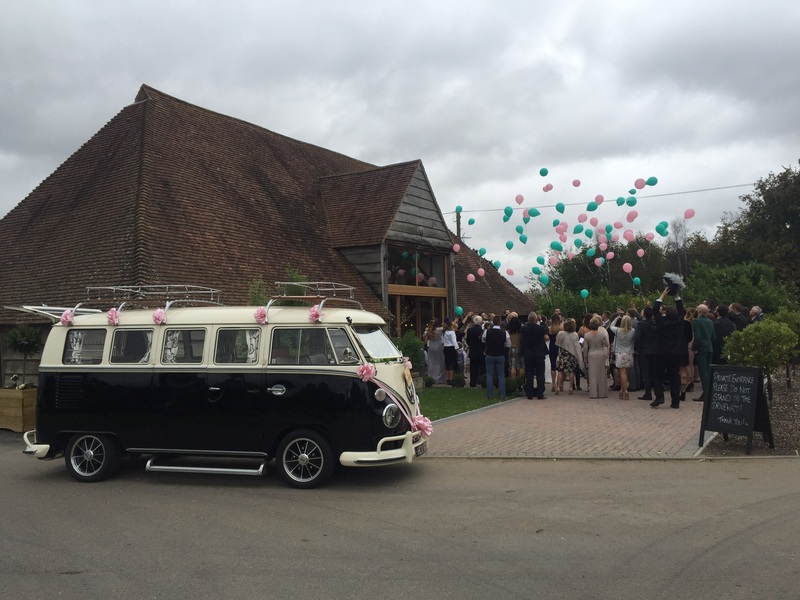 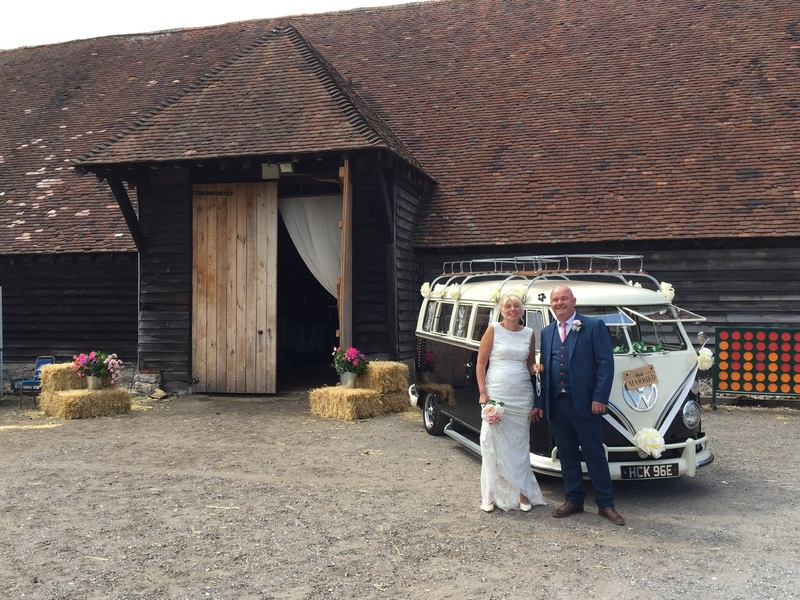 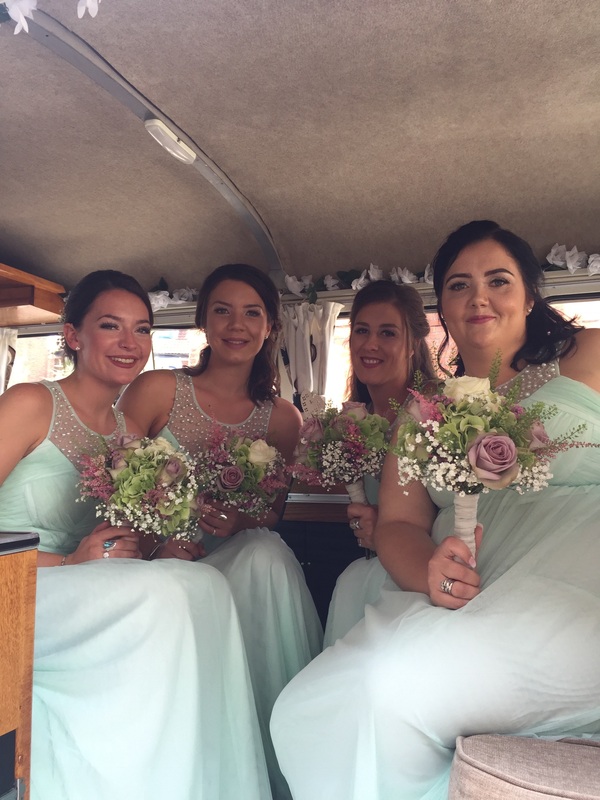 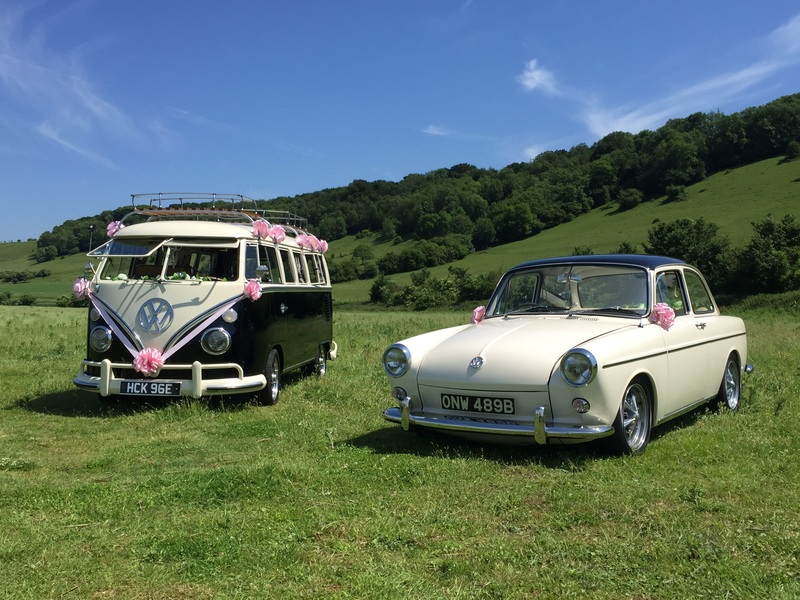 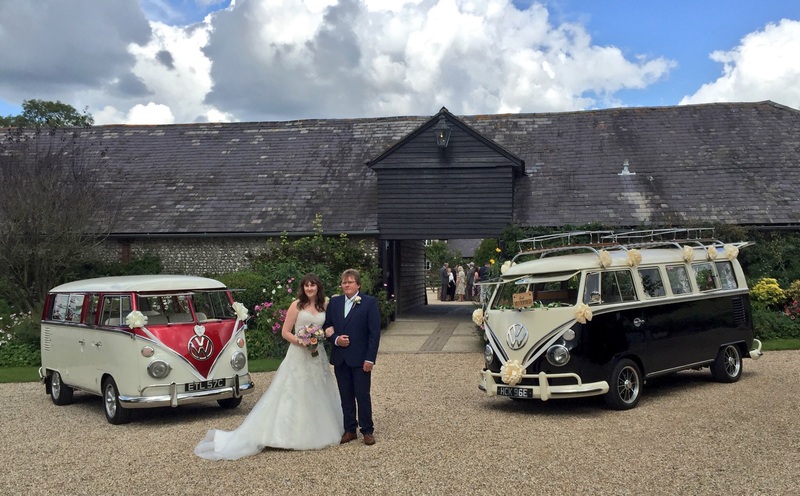 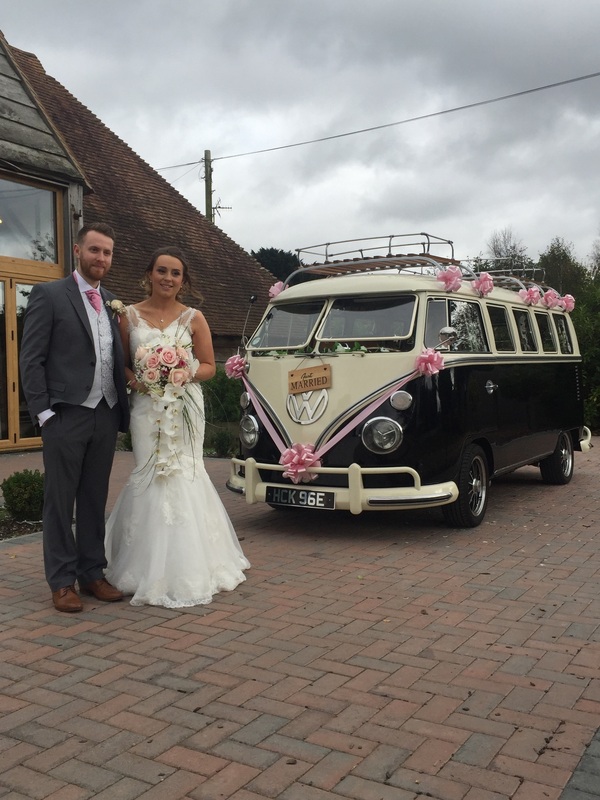 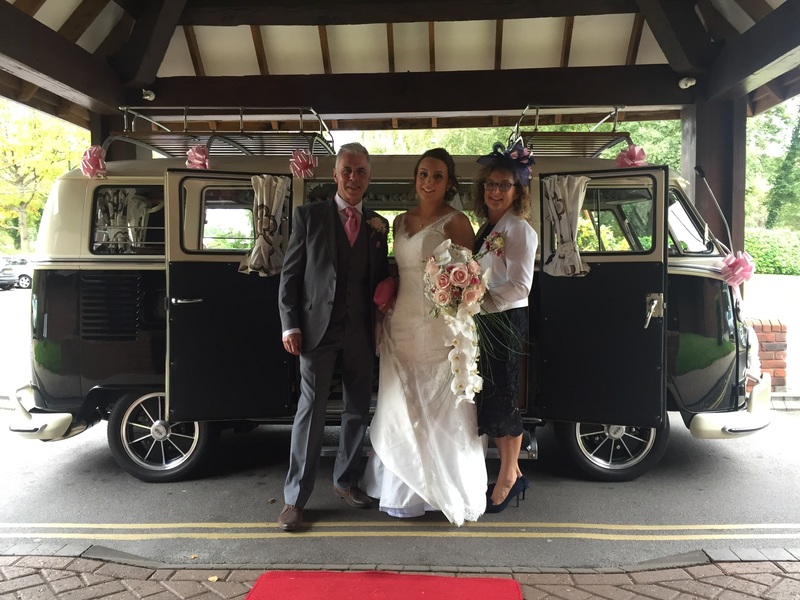 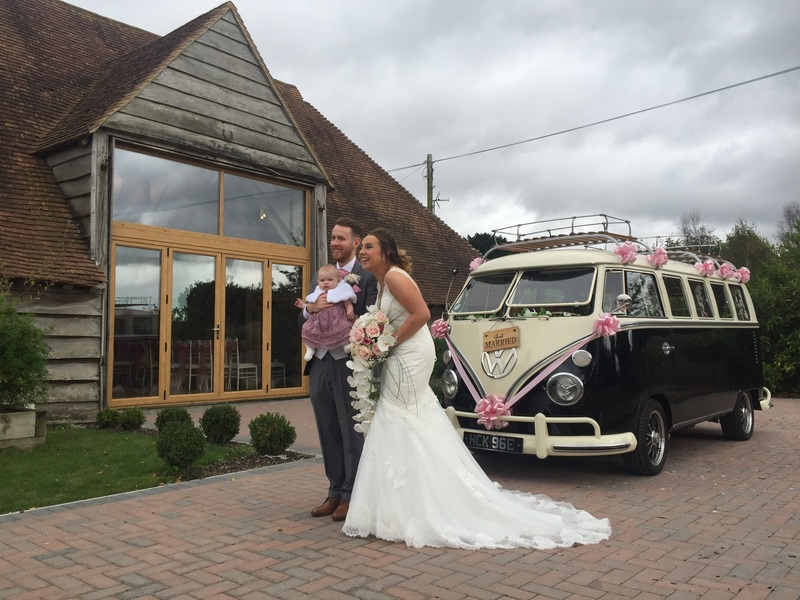 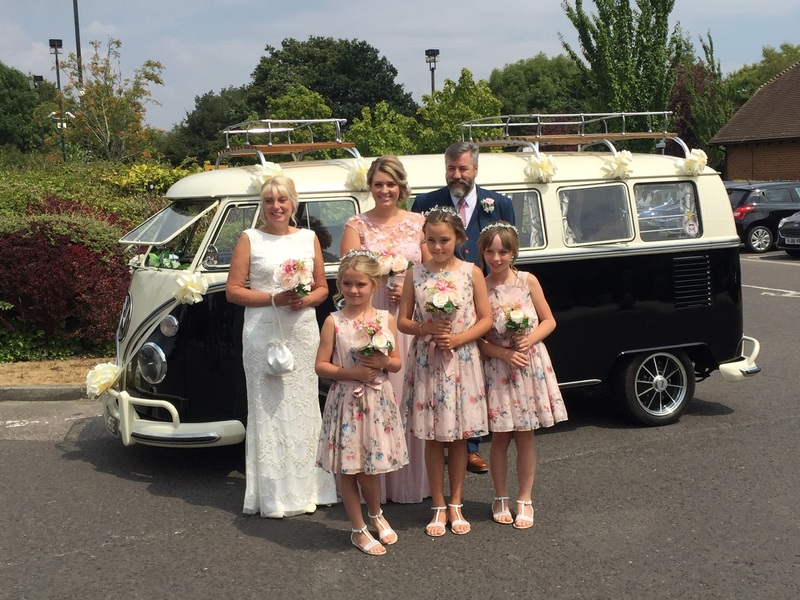 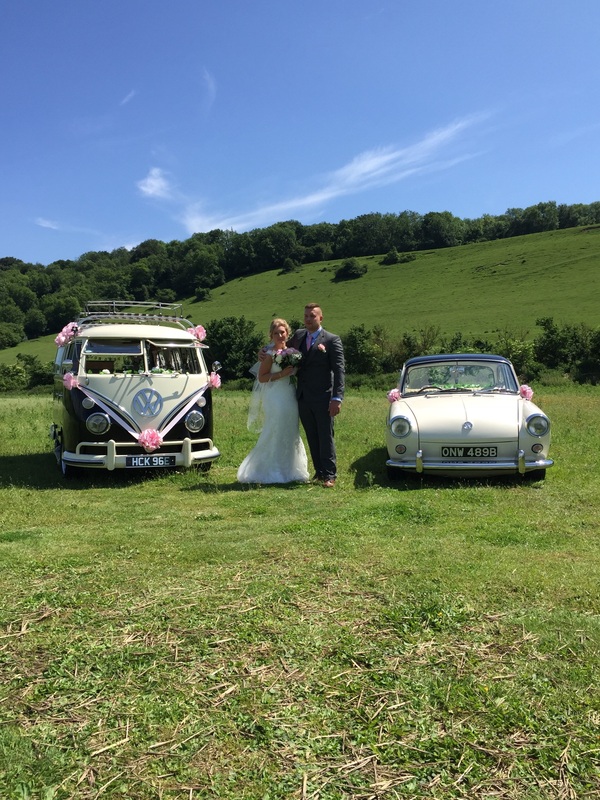 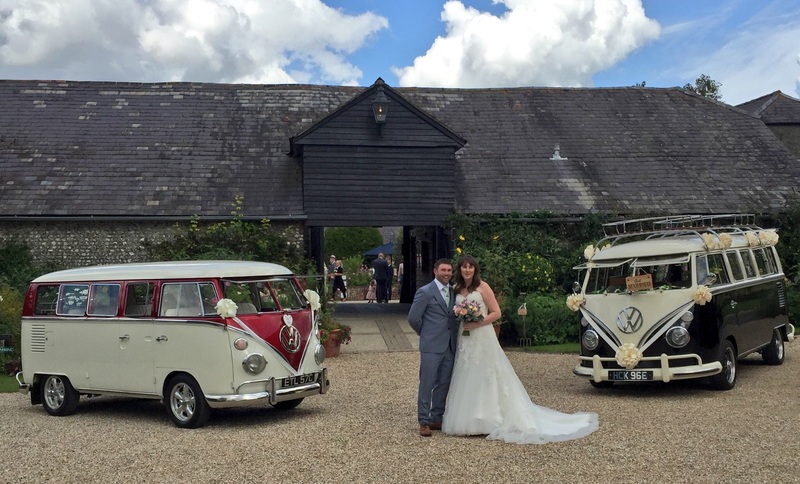 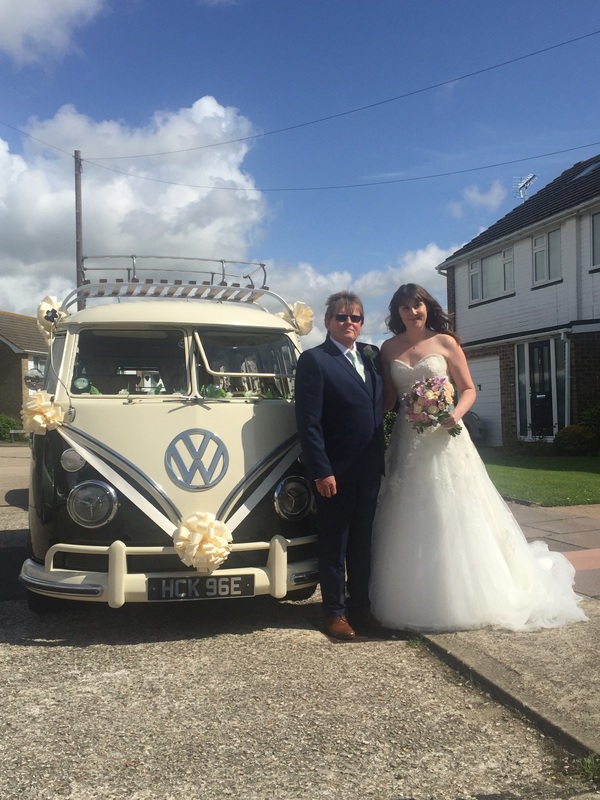 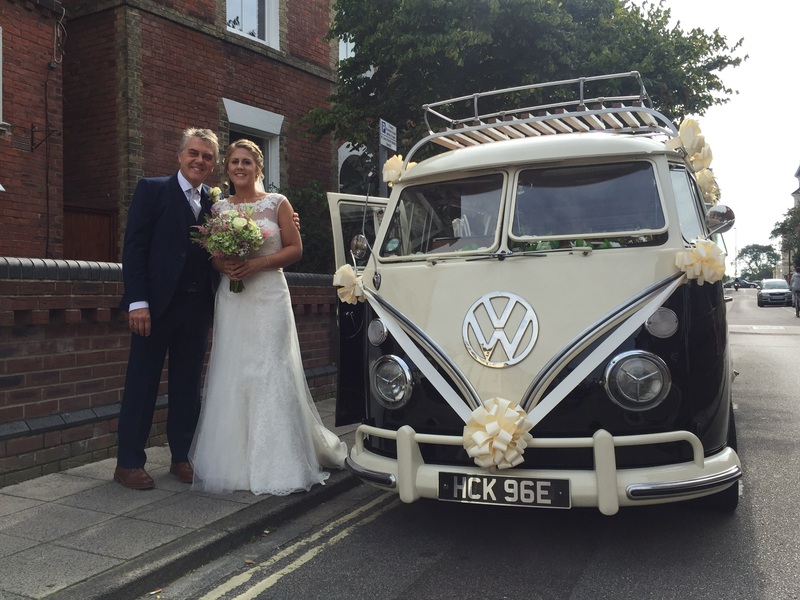 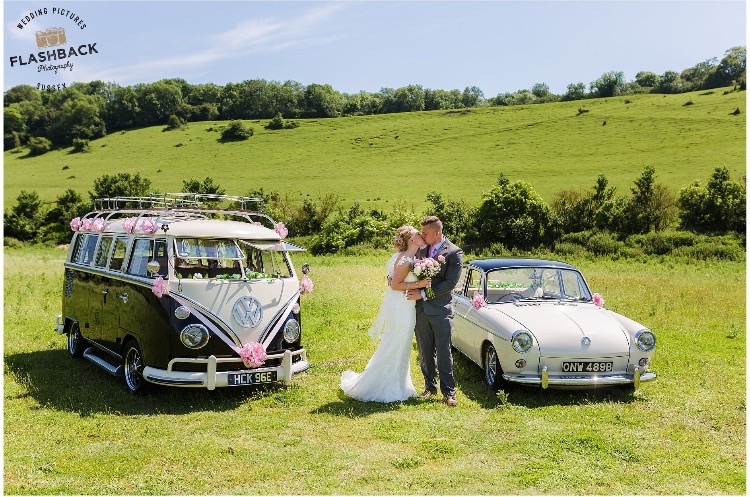 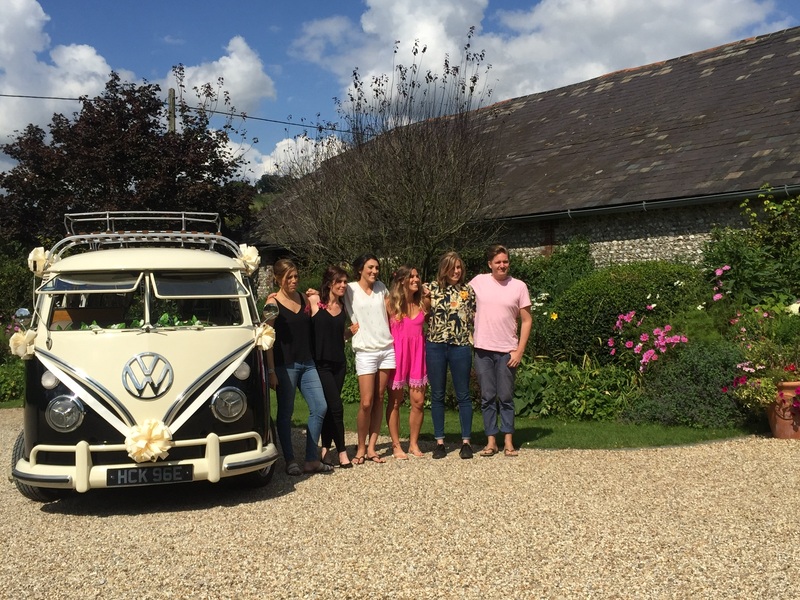 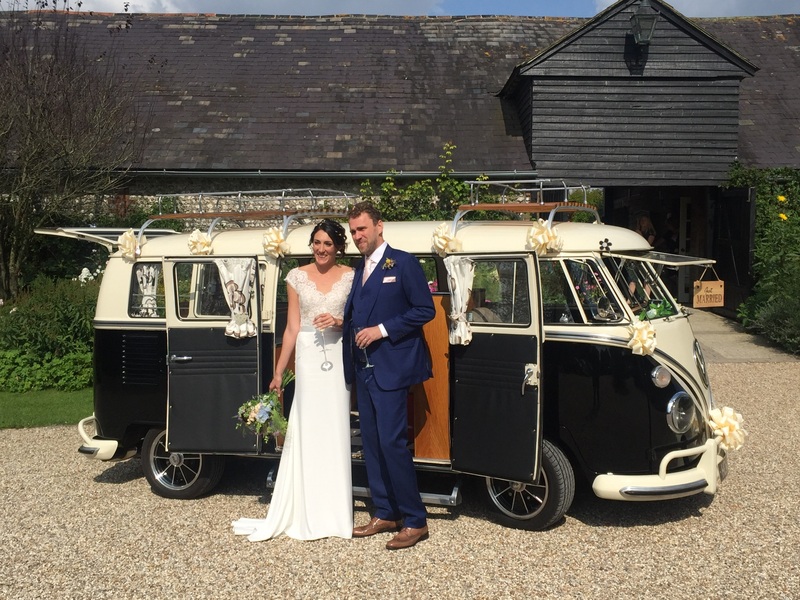 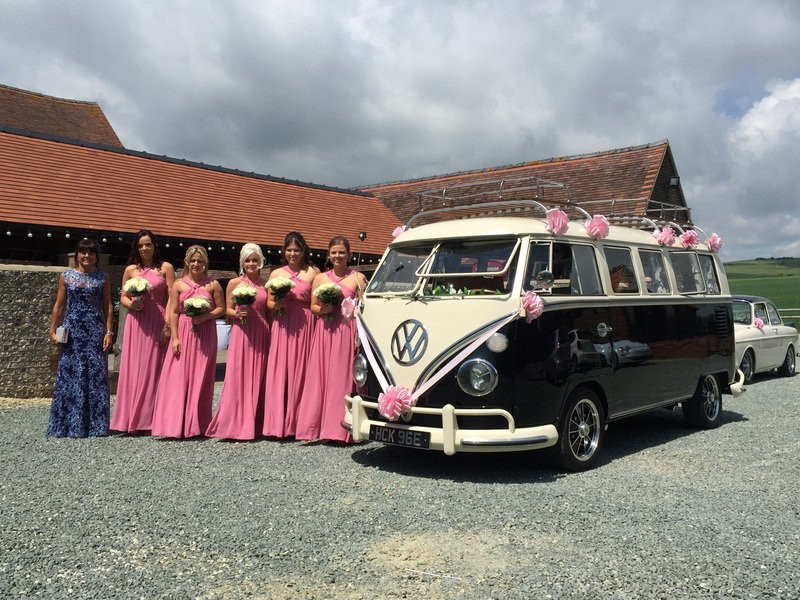 Congratulations Lucy and Chuck and thank you for choosing Hector and Splitty Wedding Hire to be part of your wedding day. 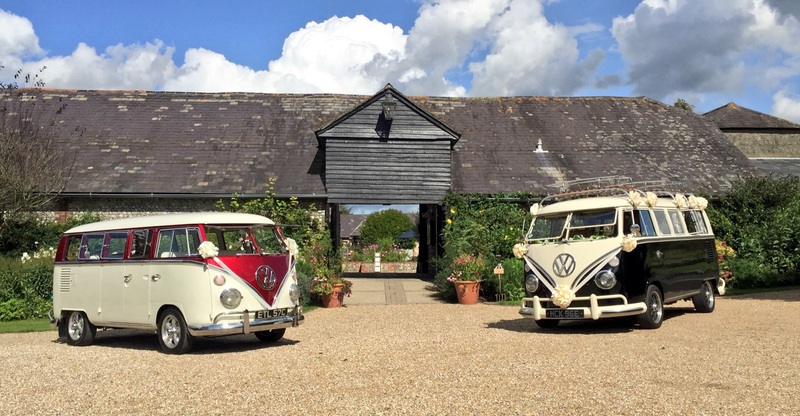 This brought our vw wedding season to a close after 32 weddings meaning Hector could go off for a well earned rest over winter, ready to do it all again soon! 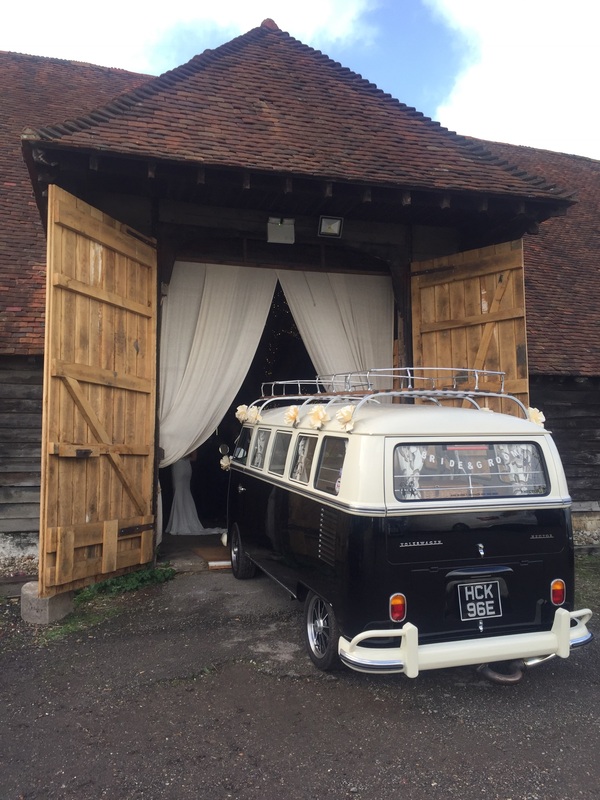 It’s been a while since we posted as we’ve been on honeymoon, so I thought I’d better try and update our remaining weddings before 2018 is upon us!